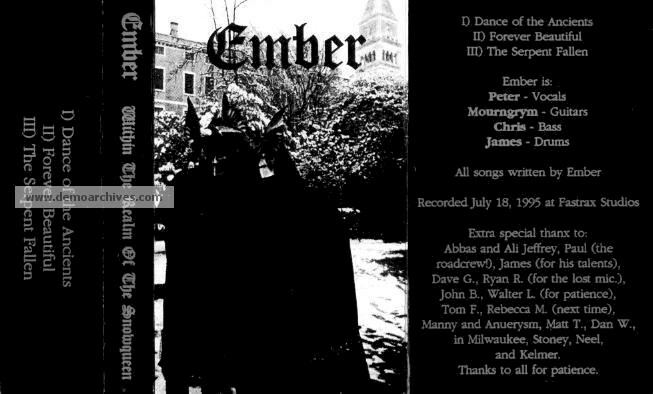 The American black metal band Ember from Chicago released their first demo "Within The Realm Of The Snowqueen" in 1995. 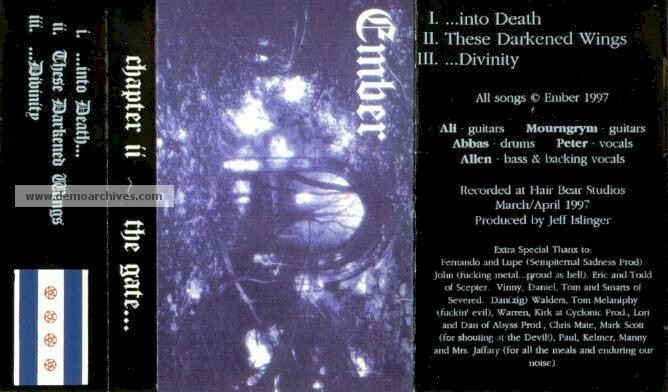 In 1996, they released their second demo called "Chapter II - The Gate...". The last act of the band was a full-length CD released in 1998 called "Concession"
Professionally printed cover with commercial tape. Professionally printed four panel cover with commercial tape.